I decided to draw the base map onto A3 paper (420mm x 297mm). Normally I might have divided the longest measurement (25 metres) into the longest side of the paper (420mm), but I noticed than I could still fit the longest dimension onto the page diagonally, if I chose a scale of 1:50 (25 metres into 500mm). Interestingly, this also allowed my north arrow to point to the top of the page. So having decided upon your scale, calculate the distances each boundary will reduce down to on your drawing (a scale ruler can make this job much easier). Divide the real life distances by the scale ratio (in this case 50), to calculate the measurements on your drawing. Determine the best side of the site (usually the longest) to act as a base line and mark this on your drawing. To do this, you need to have an approximate sense of where all of the main outside points (boundary corners, gateways, adjoining buildings etc.) are going to be. Having marked out your base line, you can now use your site measurements (and angles if you used a compass) to plot out the other points around the site boundary on to your drawing. This can be achieved either by obtaining on-site measurements across diagonals, or by using a compass and triangulation. A pair of compasses is certainly useful at this point for drawing arcs, but you could create the same effect using a long piece of paper with a couple of tiny holes at either end. If the distances and angles look correct, then join the points together to create your boundary. It should at this point look correctly proportioned – if not, recheck your measurements, it can be easy to miscalculate measurements when scaling down distances. All the detail you have plotted on your map up to now is likely to still be present in your final design. Anything that you are not sure about keeping should be drawn onto a separate overlay. That way you will have an accurate record of the placement of elements on the site, without being influenced when it comes to your final design about whether they should remain – either in their present position, or at all. These elements might include plants, movable structures (e.g. sheds), paths etc. You may come up with much better design placements. Now we are going to add some detail that will help us in our analysis, but we won’t want it cluttering up our final design drawing. Place your overlay, marking boundary corners as usual for accurate alignment, and colour in the different zones that you have identified. Our third overlay is for mapping out the sectors that we have identified. Again, while this is all useful to us in making choices, most of this information will be surplus to requirements on our final design drawing. This is why we once again use an overlay, rather than plotting it on the base map. It may be necessary to add further overlays to record any additional information that may help you in making decisions; such as the routing of utilities underground. You should now have an accurate base map with a series of overlays that you can use in your analysis. But before that, onto the next stage – the client interview (part 3). 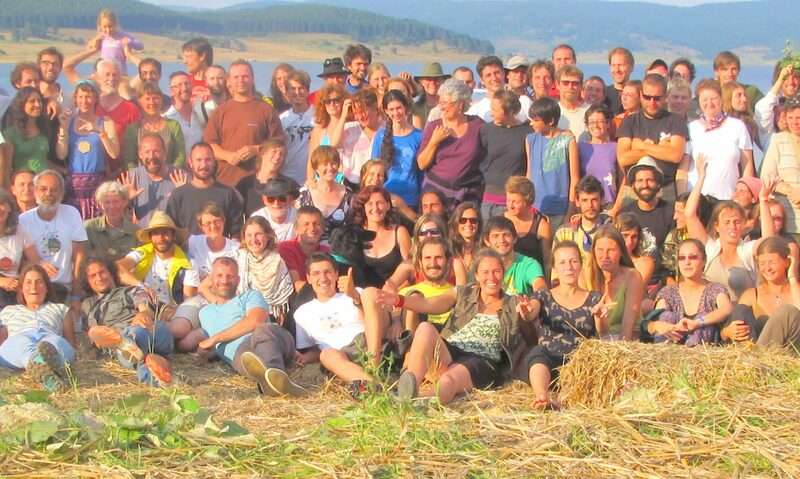 Previous PostPrevious What is going on in the Permaculture Network in Germany! ?